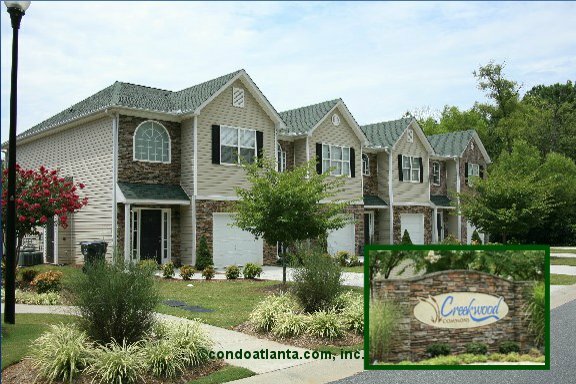 Creekwood Commons is a community of townhomes located in Woodstock close to the Downtown area near shops and restaurants. Love your home location near Towne Lake, the Outlet Shoppes, and the convenience of I-575. Golfers will enjoy a short drive to The Golf Club at Bradshaw Farm. Hoping to find your home near recreational parks and green spaces? Enjoy Olde Rope Mill Park, and Lake Allatoona. Community amenities include a playground, park space and lake for the enjoyment of Creekwood Commons homeowners.